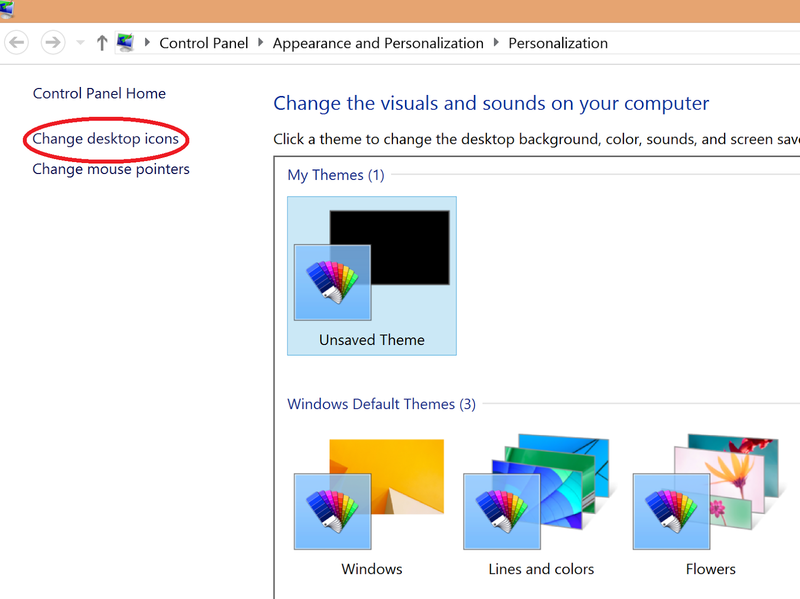 This is a short tutorial how to show common icons on desktop. 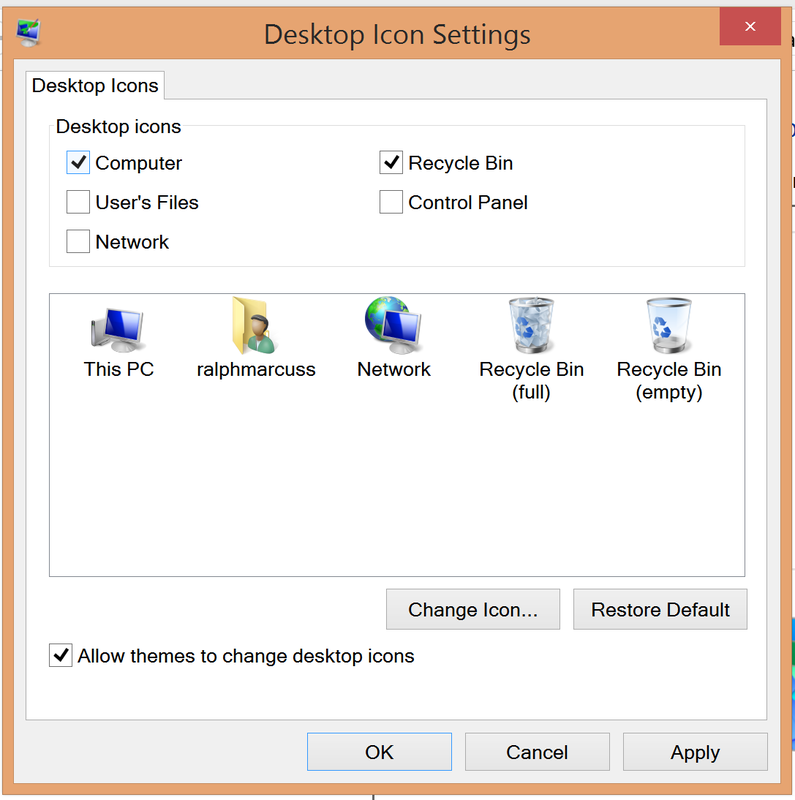 I know a lot of you notice that when you upgraded your OS to windows 8/8.1 that the My Computer icon is not shown on the desktop. 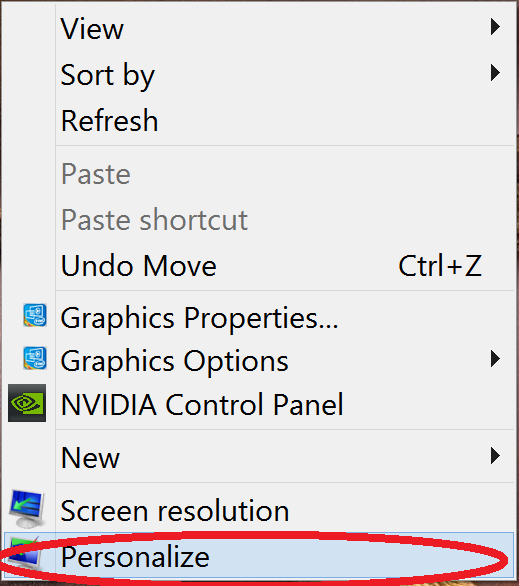 Unlike in the previous OS where you could just click START then right click to My Computer and click Shown on The Desktop. When your in windows 8/8.1 My Computer is change to This PC but the functions is still the same only the name is change. Here are the 3 easy steps to follow. 1. Right click an empty space in your desktop and click personalize. 3. Check the check boxes the icons you want to show. Congratulations! Please leave a comment!